Iolite, which is also known as Cordierite, Dichroite, and Water Sapphire, is found in Brazil, Madagascar, Burma, and India. It was first reported in 1807 by A.G. Werner. The name comes from the Greek word meaning “Violet”, due to one of the many vibrant colors Iolite was first seen as containing. Other colors of Iolite rangees from blue, brown, grey to green, yellow, or violet. Iolite has been referred to as the “violet stone”, due to it’s healing and unlocking capabilities of the third eye and crown chakras. Its a stone that takes users on an inner path to their deep inner self. Iolite carries beautiful violet-blue energy that activates and clears the third eye allowing vision, communication, and awareness from higher vibrational dimensions. 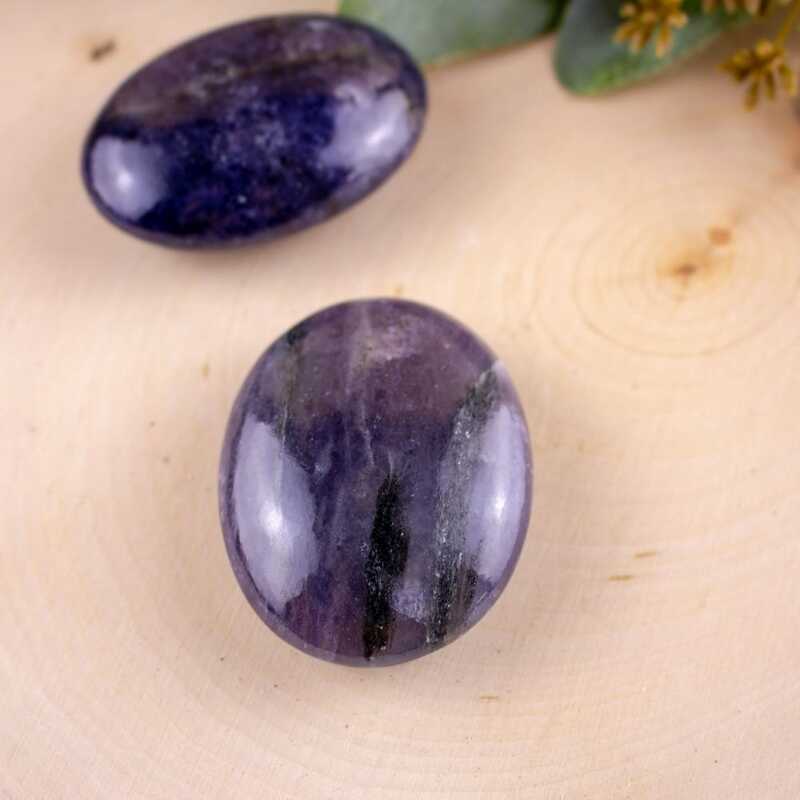 Many shamans use Iolite in their rituals and meditation sessions for not only the inner journey it brings, but also because of it’s healing properties. Iolite strengthens the connection between the third eye and the heart, helping to heal old wounds that are weighing on one's chest. 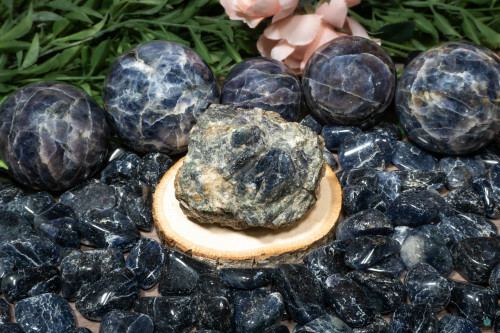 Iolite is a stone that challenges users by bringing you to areas that you’ve once feared, and pushing you forward attempting to dispel that said fear. Lastly, Iolite will help to awaken the psychic abilities we all possess, showing us our true past life experiences. Iolite works well with many stones depending on what each individual is in search of. When it comes to users desiring monetary success, Iolite works well with Peridot and Citrine. Hematite, Jet. Garnet will help users ground themselves while working with Iolite. This is highly recommended due to the strength of the Iolite's vibrations. Some users who are new to working with Iolite will occasionally have issues of feeling “out of body”, so carrying a grounding stone with you is highly recommended. For added spiritual protection, Onyx will keep you guarded the best while working with Iolite. Iolite has been known to have healing effects on the physical body. It will assist you in quitting negative addictions (mental/physical). For people who struggle with alcoholism, this stone is highly recommended. It supports detoxification and regeneration of the liver, while also killing off the bad bacteria. Lastly, Iolite also alleviates fevers, headaches, and migraines.